HYDERABAD, TELANGANA, INDIA, April 2, 2019 /EINPresswire.com/ -- Asia Inc. 500, a digital platform for celebrating, recognizing and awarding thought leaders and industry stalwarts across Asia, honoured accelQ with the “Award of Excellence for Innovation in Product Engineering” at the Global Business Excellence Awards 2019 on 22 February 2019 at T-Hub, Hyderabad. This seminal event in the Quality Engineering calendar witnessed the participation of senior vice-presidents of technology companies, senior QA experts and technology thought leaders from across the world to discover the winners and upcoming ventures in this year’s industry star-studded event. Global Business Excellence Awards 2019 celebrated companies and individuals who have accomplished significant achievements in the quality assurance and quality engineering space. The event saw hundreds of entries, where the winners were chosen after careful assessment and deliberation – culminating in a closely-run and action-packed evening. accelQ was selected after a thorough evaluation of various platforms in the codeless test automation field and determined to be the best fit for customers’ needs. 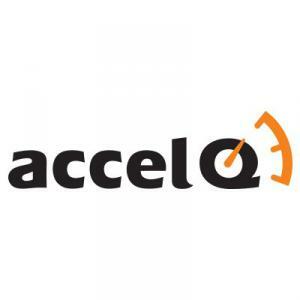 “The standards of entry were extremely high but accelQ has exceeded all expectations. accelQ is playing a pivotal role in achieving significant acceleration in test automation at a fraction of traditional costs across large enterprise clients worldwide and helping them achieve continuous delivery. I am looking forward to seeing how accelQ will evolve and continue to capture more market-share” said Raghavendra Hunasgi, Global Convener, Asia Inc. 500. “We are proud to be selected by Asia Inc. 500 for the Award of Excellence for Innovation in Test Automation. accelQ has challenged the status quo in the field of test automation and agile quality assurance. This core innovative spirit at accelQ continually drives the evolution of the platform and the company. Our customers are blown away by the fact that a codeless test automation platform can offer the same power and flexibility as open source, and cut the development and maintenance cost and time in half. This enables them to truly achieve continuous delivery and deliver high-quality applications, faster.” said Mahendra Alladi, CEO, accelQ. accelQ is the only cloud-based continuous test automation and management platform that seamlessly automates API and web testing without writing a single line of code. IT teams of all sizes use accelQ to accelerate their testing by automating critical aspects of lifecycle like test design, planning, test generation, and execution. accelQ drives automation with smart view recording coupled with powerful natural language automation to handle the most complex testing and automation requirements. accelQ customers typically save over 70% of the cost involved in the change & maintenance efforts in testing, addressing one of the major pain points in the industry. accelQ makes this possible with AI-powered core to bring self-healing automation amongst other unique capabilities. Asia Inc. 500 is a digital platform for celebrating, recognizing and awarding thought leaders and industry stalwarts across Asia. The global pioneer, which is also an international business magazine, endows an exposure of top business organizations that have manifested in a digital transformation. 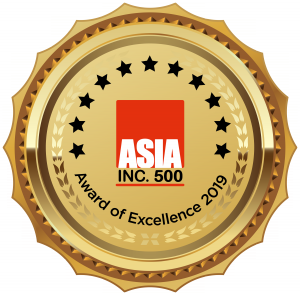 With a motive to bring the best in Asia, Asia Inc. 500 has been laying continuous emphasis on recognizing and rewarding 5000+ individuals and organizations across Asia and has magazines published across 6 countries in 3 languages and business news channels in Singapore and Hong Kong.